Training cancelled today as the field is too wet. Training shirts have been ordered and will be distributed as soon as they are received. Football Brisbane has announced a delayed start to Saturday games, due to receiving an unprecedented number of team withdrawals, additions, divisional change requests and significant fixture changes. Thank you to everyone for their patience, game schedules will be announced as soon as possible. Training will continue as normal. Saturday games postponed until 23 March 2019. A catchup game will be held later in the season. Full details will be announced as soon as they are confirmed. Thank you to all who have paid their registration fees. If you have not yet paid, please make payment now. Payment must be made before your first game to ensure players are covered by insurance. 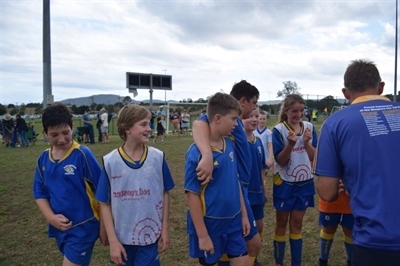 All volunteers must register online with Football Brisbane. and follow volunteer registation instructions. Available at training this week and next week. Team Managers can collect kit bags at training this week and next week. These people together with our Coaches and Managers work to ensure the effective functioning of our fabulous club. 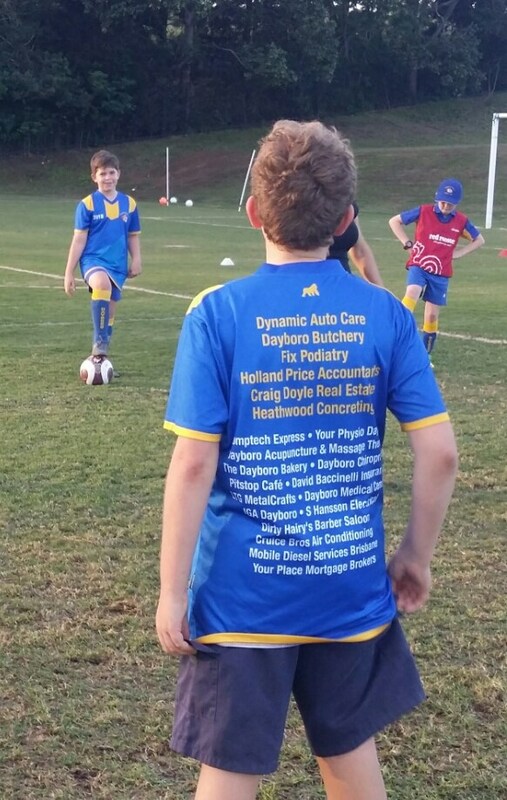 Training commences for U12 and U13 teams this week on Wednesday 6th Feb, 4:30pm at the Soccer Field. Training will be conducted by our Head Coach Arno for the first few weeks until we finalise our team coaches. U12s will have two rounds of grading games on the weekends of 16-17 Feb and 23-24 Feb. The games will only be on one day each weekend and we have requested a Saturday. The format for each grading round will consist of three (3) x 30 minute matches. The results will be used to create the divisions for the season proper which commences on Sat 16th March. We are yet to be advised of the location of the grading games but will let you know as soon as we have that information. Under 12 to Under 13 - $240 for first player and $205 for additional children. The club accepts Get Started vouchers issued by the State Government. Google Get Started Vouchers for further information. Under 12 & Under 13 to be advised. * Under 6 to Under 11 will be Wednesday 13 February at 4 PM. At team announcement we need to confirm a coach and manager for each team, so please consider your availability to support your kids by taking on one of these roles. We also need to confirm training day for each team. Team training for Under 12 and Under 13 players will commence Wednesday 6 February at 4.30 PM. Under 6 to Under 11 teams will commence the training week of the 18 February. Monday Skills training with our Head coach Arno will commence mid March and further information will be provided closer to this date. Under 6 to Under 11s first game will be Saturday the 16 March with the season concluding on Saturday 31 August. Under 13s games will commence on Saturday 16 March with final round on Saturday 24 August. The club is confirming availability of a coach training session with Football Brisbane for our volunteer coaches and we will provide an update in the next few weeks. Managers training and information will be provided prior to the commencement of the season and again we will advise of a date shortly. Bring along your used shorts, socks, shin pads, caps and shoes to add to our recycle box. You may also be able to find shoes and kit to fit your child this year! We will have a bin dedicated to recycling cans, bottles and poppers close to the canteen. We will cash these in at Dayboro recycling centre throughout the season to assist with fund raising throughout the season. You can meet our committee members at Sign On Day, Sunday 27 January. These people together with our Coaches and Managers work to ensure the effective functioning of our fabulous club. Team Announcement Day U6- U11 on Wed 13th - 4pm. § At team announcement we need to confirm a coach and manager for each team, so please consider your availability to support your kids by taking on one of these roles. § We also need to confirm training day for each team. § Head to to the registration tab of our website and follow the instructions to register your child. § When making purchases at Rebel Sport please nominate our club for Community Kickbacks - 5% of your donation will be donated to our club. We have used this money to purchase bottle holders, balls and other equipment in the past. § Under 12 to Under 13 - $240 for first player and $205 for additional children. Team training for Under 12 and Under 13 players commenced on Wednesday 6 February at 4.30 PM. § Under 13s games will commence on Saturday 16 March with final round on Saturday 24 August. Team photos are available for collection on Skills Training today and for the next 3 weeks between 3.30 - 5.30 PM. Continuing for the next 3 weeks from 3.30 -4.30 PM for the younger teams and 4.30 PM – 5.30 for the older teams. We welcome anyone who is interested in playing soccer next year for the club to come along so if you know anyone that maybe interested please bring them along. Sign on day will be in 27 January between 9 AM - 12 PM at the club and we will email you closer to the date with the details. Uniforms will be available for purchase. Football Brisbane have a new registration system for 2019 and more details will be made available in January. Under 12s grading games begin mid February 2019. All teams will commence games early March and will finish end of August. Under 6s to Under 11s will play a total of 20 games in 2019. UNDER 12's GRAND FINAL SAT 15 SEPTEMBER!! 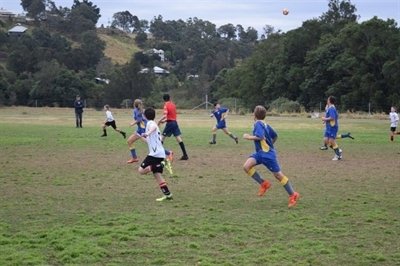 Well done U12's who won their semi final 1-0 against Albany Creek on Sat 9th Sept at Samford. Now they have the GRAND FINAL where they play UQ on Sat 15th September - 9:30am at Dalton Park, Maine Road Clontarf. Please come and support our Under 12s Dingoes on the 15th September!! Team photos will be commencing at 9AM, followed by our AGM and trophy presentations. There will be a sausage sizzle & drinks for a gold coin donation, all profits going to Drought Appeal. Former club members Heidi Klausen and her son’s Quinn & Rohan are collecting used soccer boots to send to St Bruno’s in Uganda. Please bring along any old boots that do not fit and we will pass these onto Heidi and they will be reloved again by kids in need. Please consider taking on a committee position and all positions will be vacant at the AGM. See the following link for Committee Positions and Duties. If we don't fill the positions, we don't have a committee. If we don't have a committee, we don't have a soccer club for our kids! None of the roles are difficult and there is always lots of support from previous committee members available. The old adage applies - Many hands make light work. We will be surveying all players, coaches and managers intent of returning next year. This survey will be forthcoming on our website. Thank you to all those fabulous parents who assisted with a Bunnings Brendale Sausage Sizzle! Prospect Wines Fundraiser – Cartons of wine are on sale with a percentage of sales going to our Club. Tastings and order forms are available at the canteen. Tastings will be available on the AGM day. We are so grateful to our generous sponsors who have assisted our club in 2018. Please support these amazing businesses. A special mention to Scott Heathwood from the Dayboro Butchery who has sponsored our club for years and also supplied us with his tasty sausages. A big thank you from the Dayboro Dingoes. Commencing Monday 5 November for 6 weeks. 3.30 -4.30 PM for the younger teams and 4.30 PM – 5.30 for the older teams. Sign on day will be in January at the club and we will email you closer to the date with the details. Closures can be updated here at any time. Please do a final check on the morning of your game. Our new training shirts have arrived and thank you to Scott Price for organising such great shirts this year! All our players, coaches and committee members are wearing these fabulous shirts. Thank you again to our wonderful sponsors who are listed on the reverse of shirts. Come and march with our wonderful club and help us promote our club in Dayboro. Wear full uniform minus soccer boots and shinpads. The Dayboro Dingoes Soccer Club participated in our local ANZAC ceremony today. 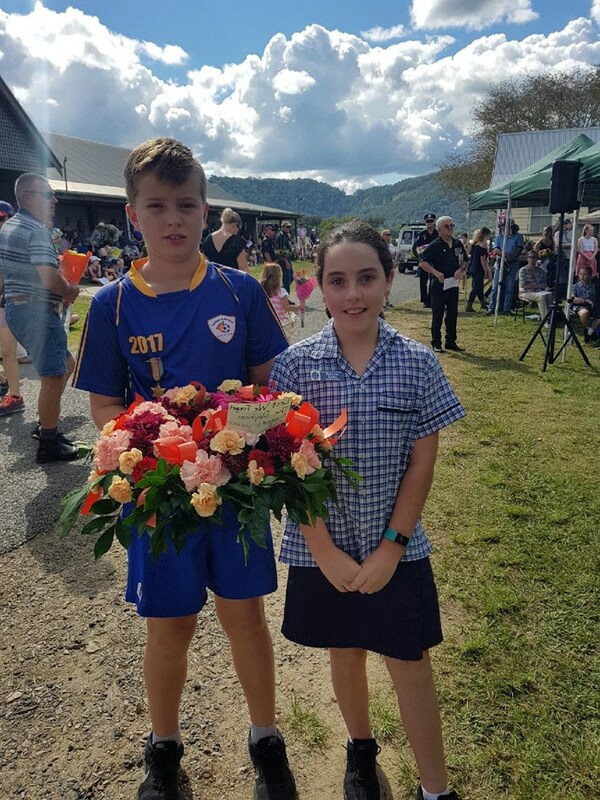 Rebecca & Tim placed the a beautiful wreath (made by one of our soccer mums Karen McCarthy) on behalf of our club. Tips to becoming the perfect football parent! Focus on your child’s efforts and performance rather than whether they win or lose. At this age children are playing football purely for fun. There is no evidence to suggest winning is a motivating factor in keeping them playing. Praise them for effort, sportsmanship and skills rather than worrying about the scoreline. Remember that children learn best by example. Appreciate good performance and skilful plays by all players. Cheer when the opposition score and clap when one of their players has a good run with the ball. Your children will notice. Volunteer at our club to show them you are engaged with their sport as much as they are. Try a committee role, coaching or see if they need help in the canteen on match days. Don’t be shy to put your hand up and help out where possible. Parental behaviour is absolutely critical in ensuring that young players enjoy an appropriate environment in their formative years of playing football. Respect officials’ decisions and teach children to do likewise. A major focus should be on letting the children play with minimal instruction and plenty of encouragement. Let them play. It’s a game after all! Spending time with their friends is a key motivating factor for girls’ sports participation. Give them time to hang out and chat before and after games. They will enjoy the social side as much as the match – and so will you! Learn the rules so you can support your team where necessary. Applaud players when they are substituted and let them know they will soon be back on the pitch. It will help them understand rotating players is a normal part of playing football and ensure they do not feel they have done anything wrong. If you know of anyone who may be interested in playing soccer aged between 10 and 12 years (not turning 13 this year) we urgently need them for our Under 11 Gold team. Come and watch our over 45s play this Sunday at 3.30 PM. They have already won their first game of the season. Canteen will be open! The larger sized shorts and socks have now arrived and will be available for purchase at training this afternoon or from the canteen Saturday morning. EFTPOS is now available. Skills Training will be commencing this Monday 23 April. Parent assistance would be appreciated. Please note skills training will not be held on public holidays and school holidays. Team training will be up to individual teams. We will be meeting at the pub for the parade on Sunday 27th May 2018. Please ensure that players are in their uniform (no soccer boots). The meeting time will be advised closer to the date. Last season we held to successful Bunnings BBQ fundraisers at Brendale. We will be looking for volunteers to assist again this season. Will be available end of April 2018.